In case any of you missed it yesterday (and didn't go to SDCC 2013). After the long wait, here's the first trailer to the new Godzilla movie. Yes internet, as a Breaking Bad fan, I know Bryan Cranston plays a major role in it. (ok, I'm psyched about that too). 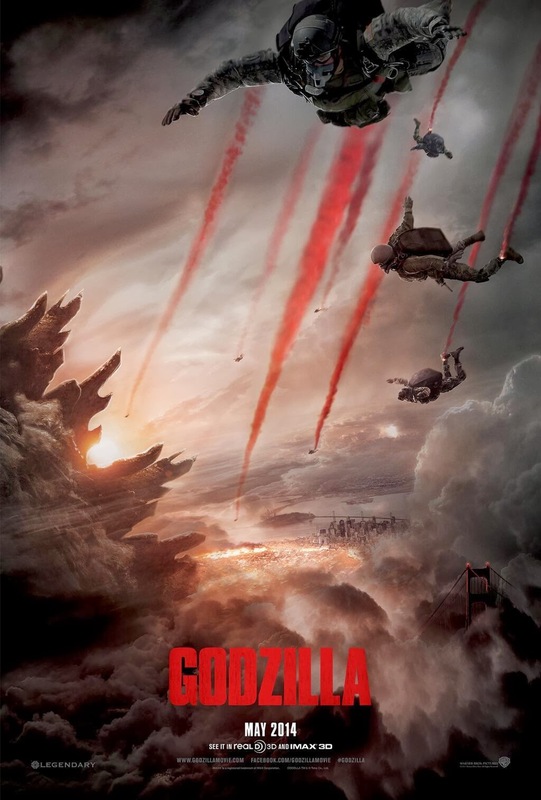 There is some hope that this could be the Hollywood-created Godzilla movie that fans have been wanting and not the "that's a lot of fish" joke that "Zilla" from the last Hollywood Godzilla movie was. 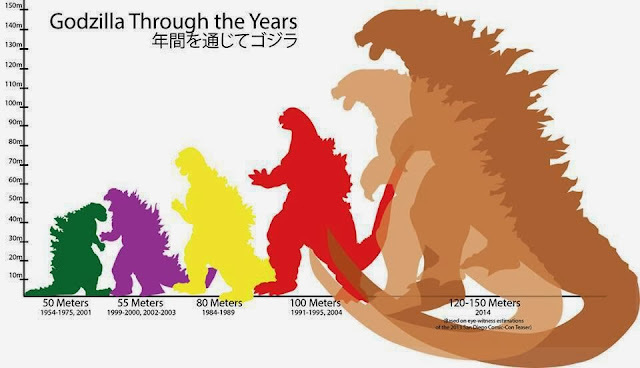 Godzilla also continues to grow in size in every movie he's in. Check out this chart I first saw today from @tokyodesu on twitter. I wouldn't say I've been a rabid fan of Godzilla but as an anime/japan fan... I think it comes with the territory. Heck, there are movie goers and fans of the big radioactive lizard who want nothing to do with anime or japanese media but drop everything to see and collect all that is Godzilla. Actually, without Hollywood's help, the recent Godzilla movies developed in Japan have been rather great productions from what I hear from these fans. Will this movie bring Godzilla into the mainstream culture (again), will it be a fan favorite / cult classic or will it be the unfortunate victim of Hollywood exposition and simply "not getting" Japanese story telling? I guess we can only find out...but looking at his massive scale, the devastation he's leaving and the creature actually looking like Godzilla this time...it's looking really hopeful.